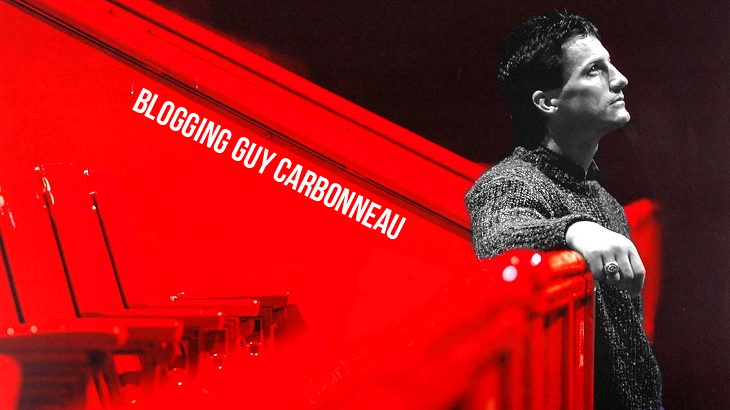 Blogging Guy Carbonneau: Pure class. One of the words I most often see associated with Guy is "class." He has always been wonderful to his fans. Okay, so perhaps Morrow might be a little biased, being Carbo's son-in-law. But the stories speak for themselves. There is Diane Lau's story of her encounter with Guy, Darkest Before the Dawn. And then there's my little tale. Well, I actually have a few tales, but this one comes to mind because this morning I was sitting at my computer, anxious over a job interview. 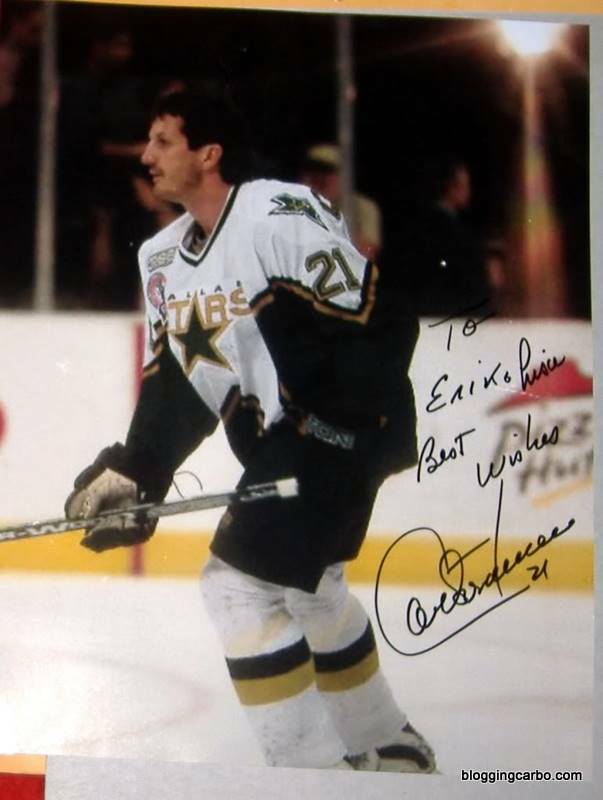 And I looked at the signed Carbo photo on the wall above my desk. For our first anniversary in 2009, my dear boyfriend Erik wrote to Guy, explaining to him that our anniversary was coming up and would he mind signing a photo? Yep, pure class. Thank you, Guy -- for the autograph and for giving me a little cheer this morning when I needed it.